Set of German warning markers. 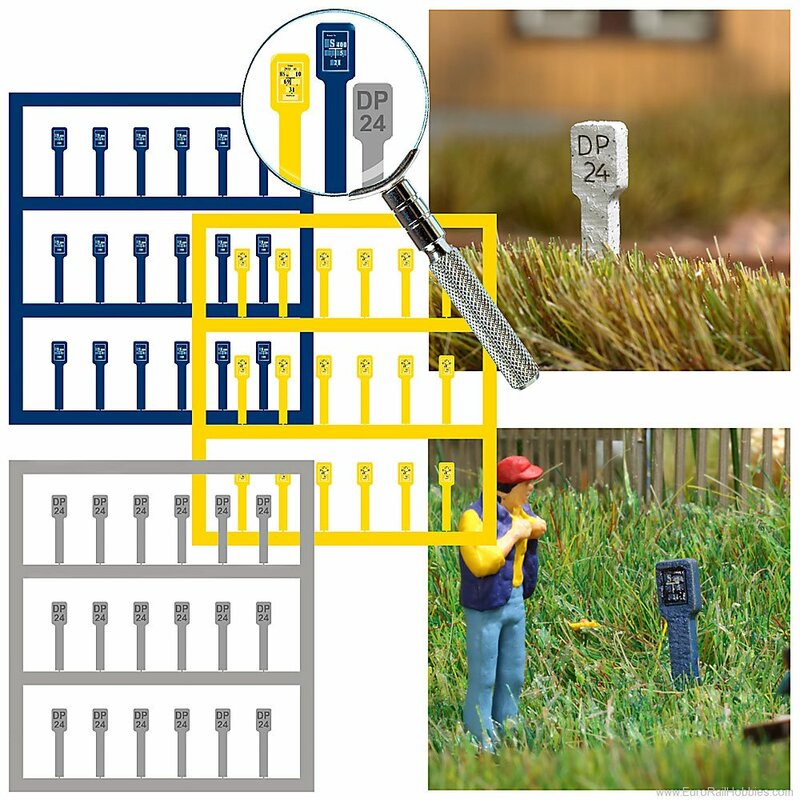 The blue markers are for buried water pipes and turn off valves, the yellow markers for gas lines and turn off valves and the gray markers for postal telephone or electric cables. Contains: for each color 18 markers.